Most of the upgrades Shiratsuyu captains will equip are pretty self-explanatory; there isn't a lot of variety available to significantly improve her performance. Upgrade Slot 1 is best filled with Main Armaments Modification 1. Propulsion Modification 1 is the number one pick for Upgrade Slot 2 in order to protect Shiratsuyu’s mobility. 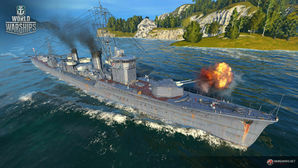 Most captains will opt for Aiming Systems Modification 1 in Upgrade Slot 3, but Main Battery Modification 2 is also a decent choice. 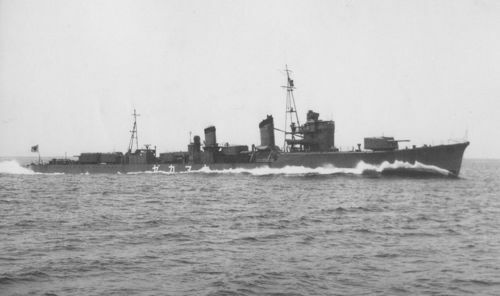 When combined with Tier 1 commander skill Basic Firing Training, the impact to Shiratsuyu’s reload time is negligible while the improvement to her turret rotation is notable. Propulsion Modification 2 is recommended in Upgrade Slot 4 for the same reason as Slot 2. This page was last modified on 15 March 2019, at 10:38. This page has been accessed 53,483 times.